My closet is brimming with classic button downs, as they’re essential pieces for an effortless polished look. Button downs have been my unofficial work uniform for years, and nothing exudes simple elegance more than a crisp blue cotton blouse with skinny jeans! Though often categorized as office attire, this one in particular with an A-Line silhouette, feminine details, and a slightly oversized fit, easily takes you from desk to brunch. It’s professional, with a hint of tailored ladylike elegance, and absolutely perfect for this transitional weather as of late. 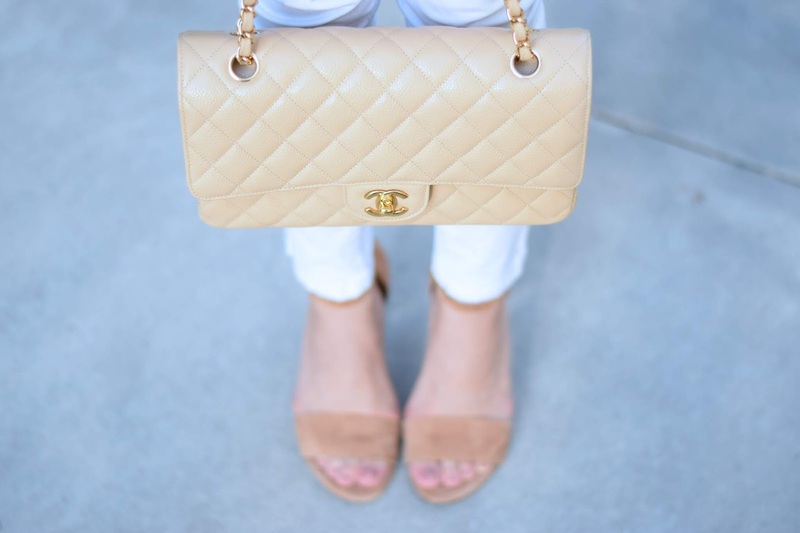 I finished my outfit with a pair of subtle but head turning heels from Alexander Wang, and reached for my classic Chanel shoulder bag. For a comfy, chic, and refined look, pair your un-tucked blouse with skinny jeans—heels & stilettos if you’re headed out, flats for comfort, or a pair of sneakers if you’re feeling sporty. For a hint of feminine flair, tuck your shirt into a maxi skirt or a line skirt, and finish the outfit with either flats or heels. For a business causal ensemble, throw a blazer over your button down & slip into a pair of trousers for an androgynous look or a tailored pencil skirt for something more sophisticated. Check out VIP.COM for similar styles. You can use code: nicole1073 for $5 off any $50 purchase. Happy shopping!